In the pages which follow it will be seen that I quote from newspaper reports of the famous matches of which I write. The vivid description of an eye-witness is thus always secured. I am sorry I cannot in many cases give the source of the graphic narratives. It is not mentioned in the valuable scrapbook of newspaper cuttings, belonging to the late Mr J. G. Denham, which I am so very fortunate as to possess, through the kindness of his daughter, Mrs Huntley. 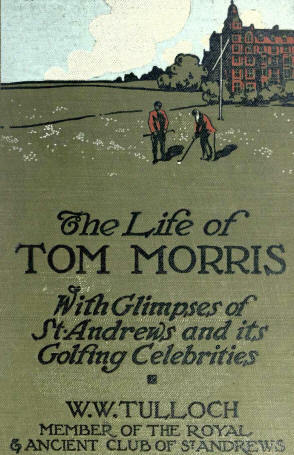 The majority of the reports are doubtless from The Field, The Scotsman, The Glasgow Herald and The Dundee Advertiser, the golf reporting of which was brought to a very high state of efficiency by the late Mr W. M. Croall, and by his brother, Mr J . P. Croall, the present editor of The Scotsman, Mr James Dickson of the. Glasgow herald, Mr David Scott Duncan, Mr Henry Henderson, St Andrews, and others. To Mrs Huntley and these writers I beg to express my best thanks; as well as to my lifelong friend, Mr Thomas Bayne, and Mr W. Dalrymple of Leven (one of the greatest authorities on all points, connected with the game), both of whom have been good enough to read the proofs. 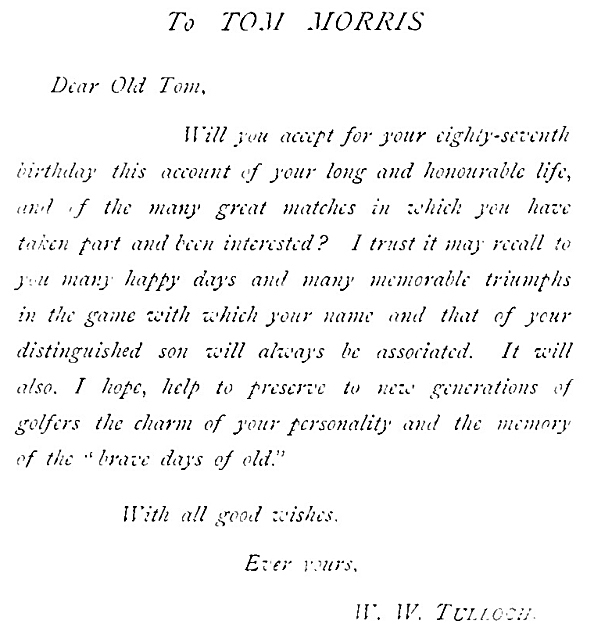 I am also indebted to Mr Andrew Lang, Mr H. S. C. Everard, Mr Horace; G. Hutchinson, and other writers for the use I have made of their contributions to the literature of Golf, to the proprietors of Punch, and to my old friend, Mr William Hodgson. I have further to thank the editors and proprietors of Golfing and Golf Illustrated for allowing me to reproduce the illustrations which accompany the volume, and which originally appeared in these journals. 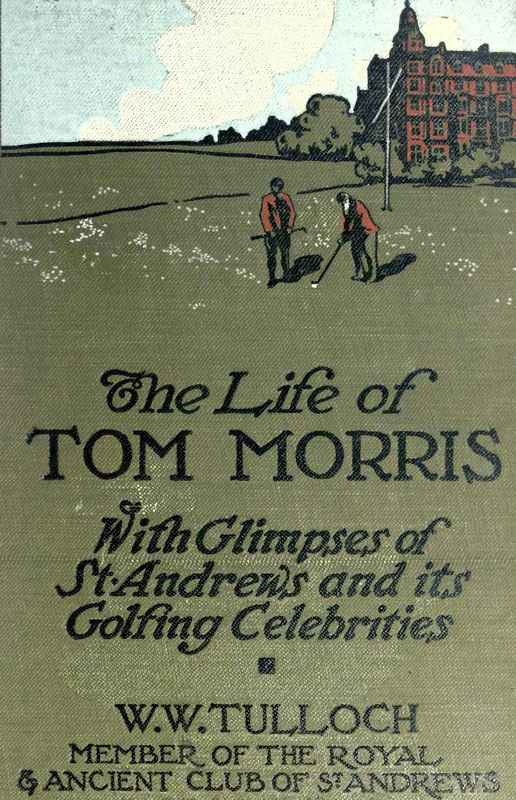 Those reproduced from Golf Illustrated are interesting and valuable as specimens of early calotypes taken by one of the most skilful of the pioneers in photography, Dr Adamson of St Andrews. And I should like to associate this book with the name of her whom I call "Lady Sylvia of the Silver City," through whose hands it has also passed.